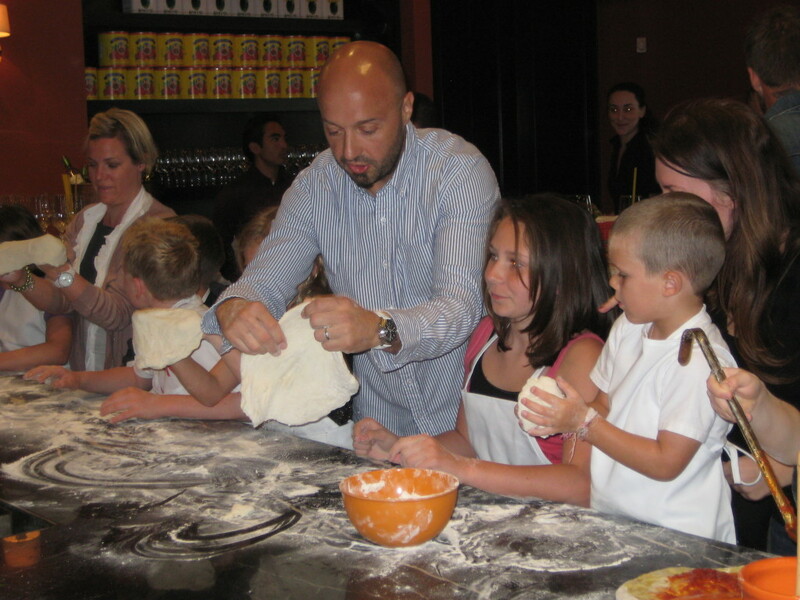 Sunday April 11th found Minty and Rémy cooking at Mozza alongside their new friends Miles and Ethan Bastianich and 15 other special guests at a pizza party in the new Scuola di Pizza. 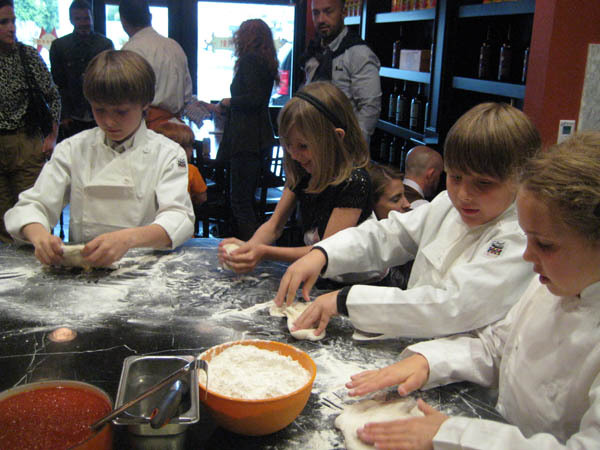 Before the kids got down to business they were suitably attired in either chefs jackets or white aprons. 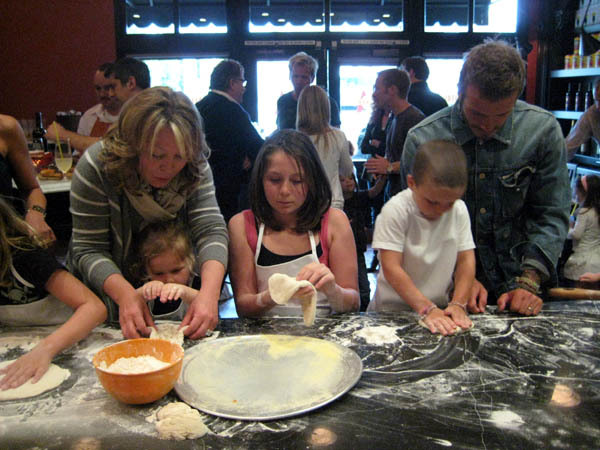 A lot of flour was then spread around the counter and the fun began. 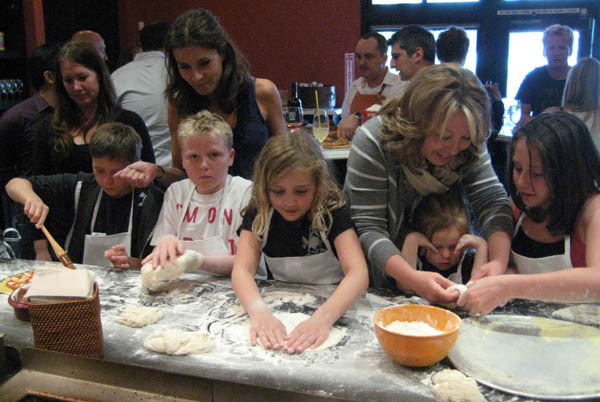 A small mound of dough was given to each child for them to flatten, knead and even spin into a pizza base. 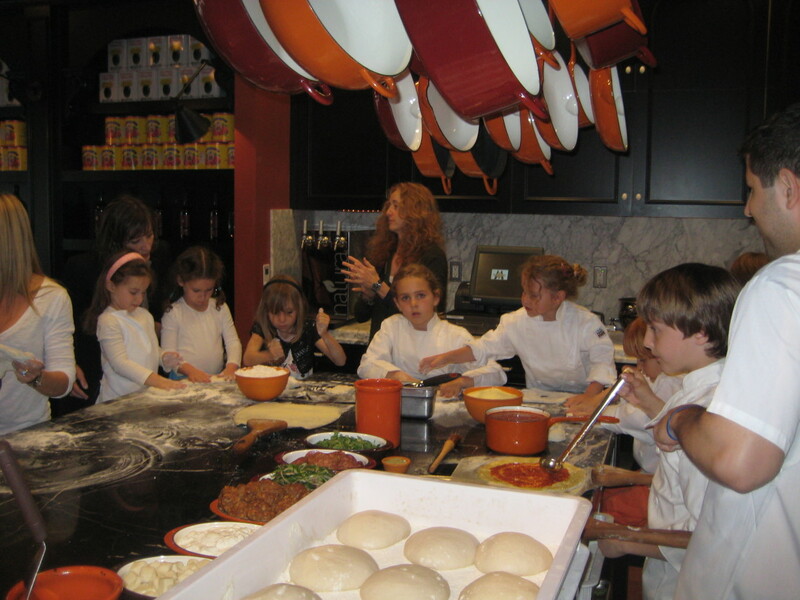 Then olive oil was brushed on followed by tomato, mozzerella cheese, salami, fennel pollan, meat balls, roasted cherry tomatoes – whatever the kids chose from a vast array of toppings. 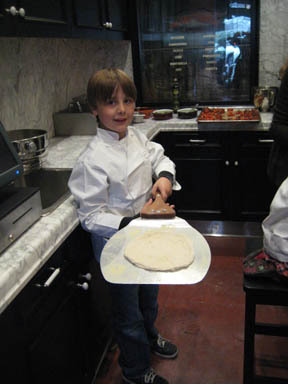 Once the pizza was created it was carefully transported to the oven on the pizza peel and cooked by the pros at Mozza. Rémy was extremely interested in looking in the oven at the pizzas cooking. 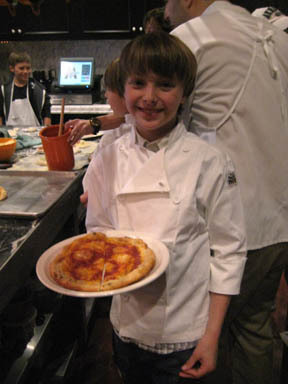 The pizzas were cooked, plated and cut into four – each child then handed out their pizza to waiting parents and guests. 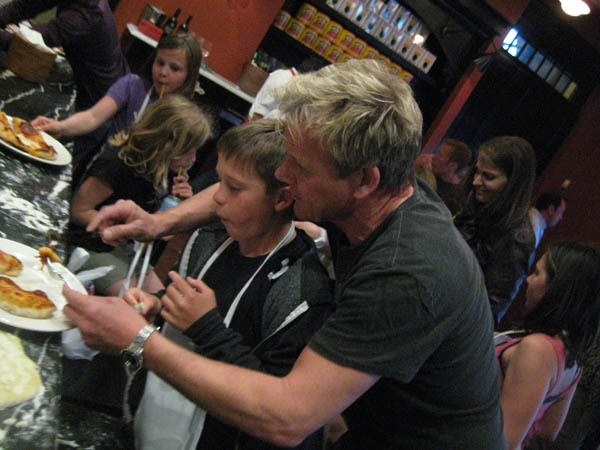 Gordon Ramsay bought his entire family and his mate David Beckham with Brooklyn and Cruz to join in the fun. 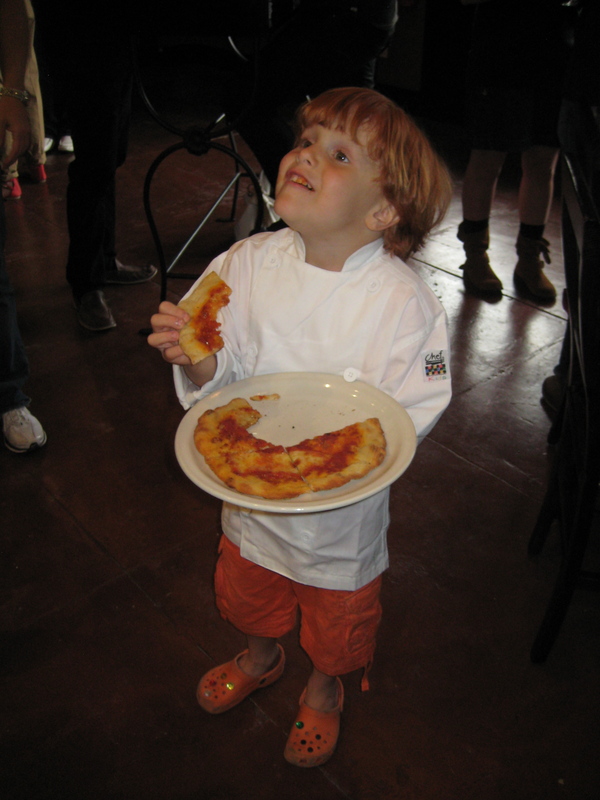 The kids were very good at picking out which pizza they had made when they came out of the oven. 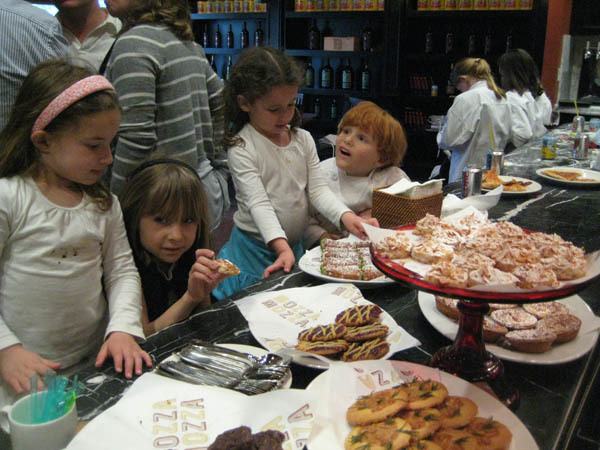 After cooking lots of pizzas the kids turned to dessert. The parents and other esteemed guests ate an Italian feast as the kids were kept busy with flour and dough. 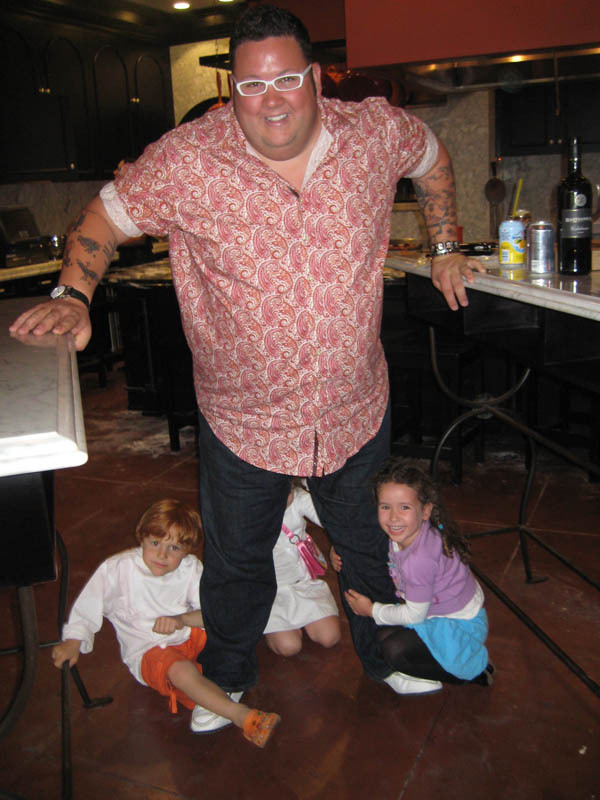 As the party wound down the littlest chefs attacked the biggest chef, Graham Elliot Bowles and demanded he played hide n seek with them. Meanwhile, Minty found her calling – working behind the counter serving customers with Miles at Mozza2Go. I didn’t realize you were at the Scuolo! 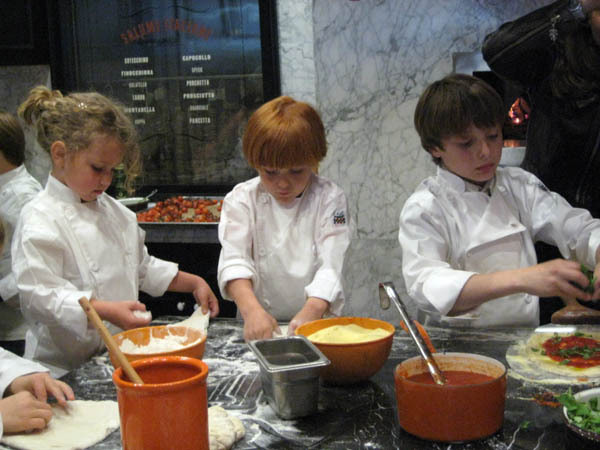 I was working next door and poked my head in for a second–and was blinded by the smiles from all the kids. What an incredible time for all! I was especially excited to meet G. Ram, that’s for damn sure. I think this would be a great idea for a kids birthday party.. I think they would enjoy it so much! 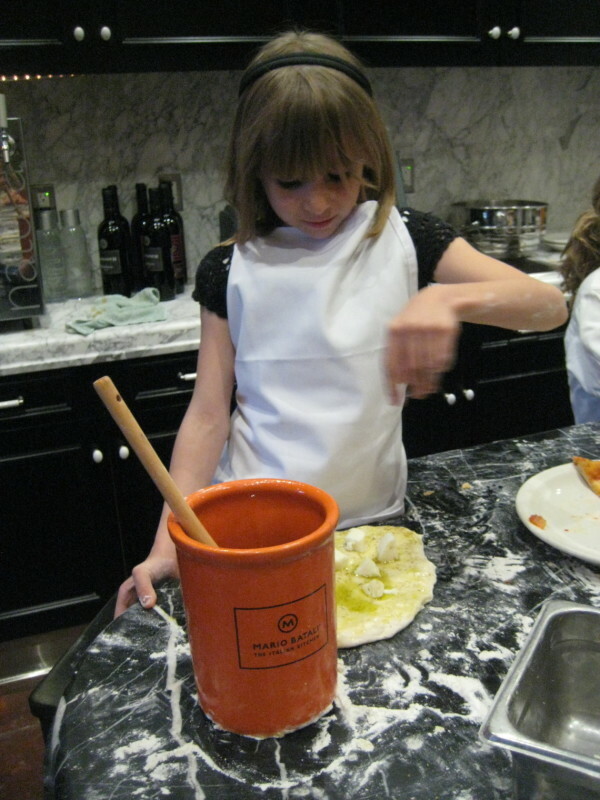 Your pictures are great and it looks like they had so much fun.